A sweeping law passed after the shooting at Marjory Stoneman Douglas High School in Parkland has changed how police are able to do their jobs. WLRN's Danny Rivero reports. Like other police departments across the state, Riggio’s unit has regularly been issuing “red flag” orders to people in the community -- a core part of the new law that allows police to confiscate any firearms from someone designated as a “high risk person.” The measure also puts them on a state list blocking them from purchasing firearms. 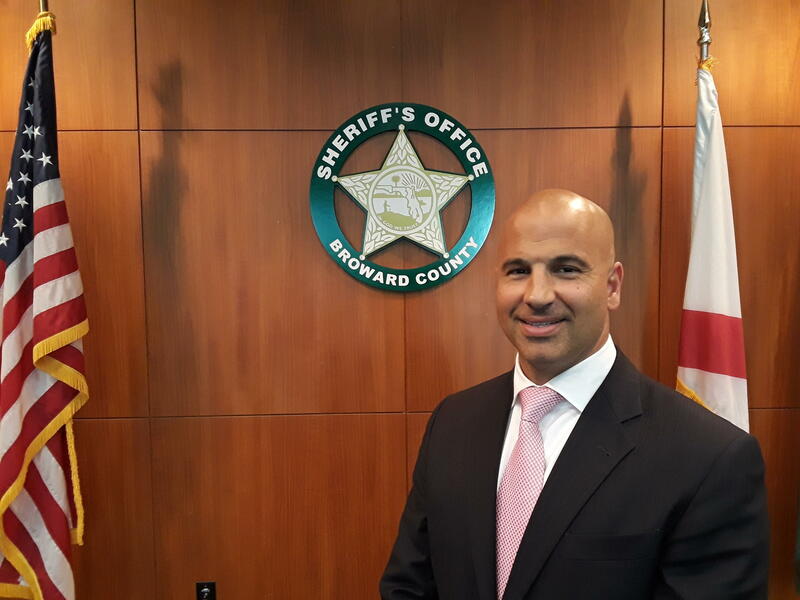 Captain Michael Riggio was the number two for counterterrorism for the New York City Police Department before being hired away by the Broward Sheriff's Office. The Section acts as a kind of in-house social work division of the police department. After a troubled person comes on the team's radar, a detective is assigned that case. The officer meets with the person on a regular basis, pushing them to see a psychiatrist and take medications, and helping connect them with social services. Officers seek permission to access medical and psychiatric information so they can speak freely with caregivers. Detective Latasha King has been a part of Miami-Dade Police Department's Threat Assessment Section since June 2018, when it launched. “We take this seriously and if we find that there's anything wrong we're going to be arresting people for their conduct and their behavior,” he added.